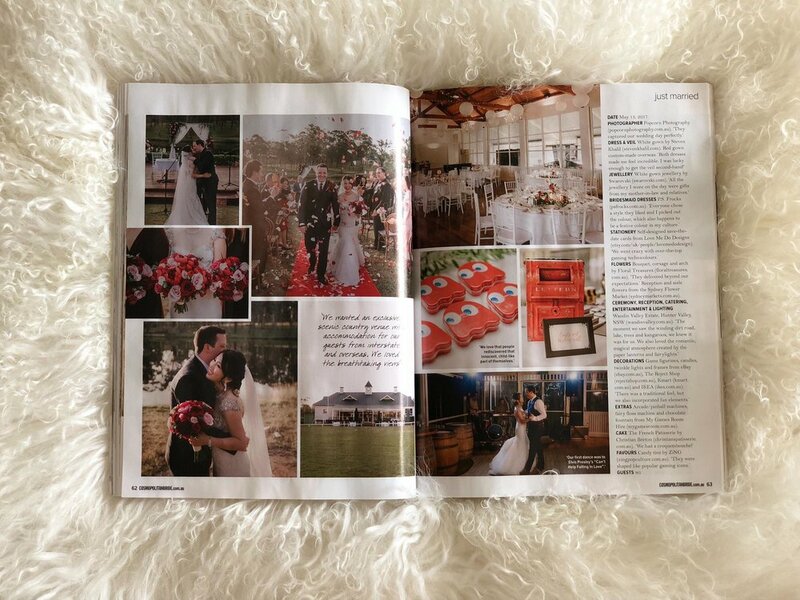 This gorgeous pair held their special day at the picturesque Wandin Valley Estate right here in the heart of the Hunter Valley. 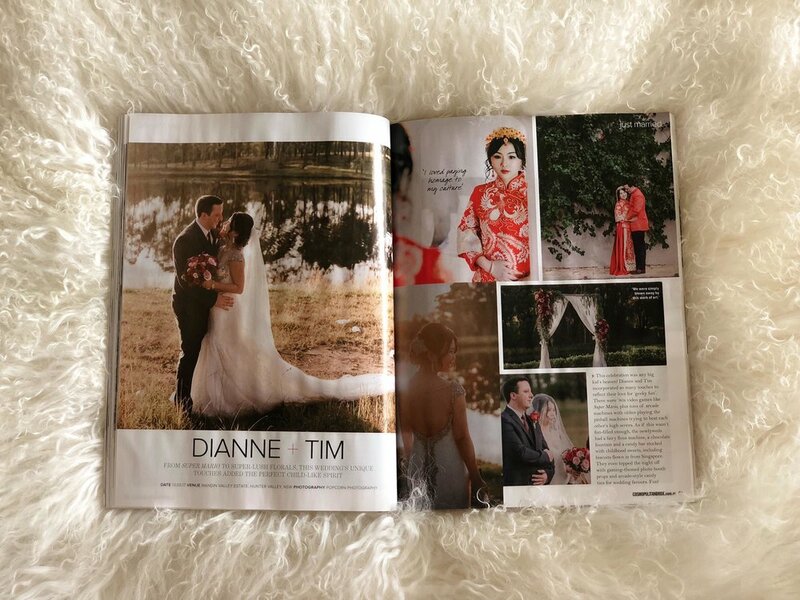 Dianne paid homage to her culture by holding a beautiful tea ceremony before the Wedding ceremony and playing various games with Tim and his groomsmen. They incorporated old school games, pinball machines and cute characters throughout their Reception decorations as they met online gaming - it was SO much fun and we loved every second of their incredible day. We hope you all love the feature! 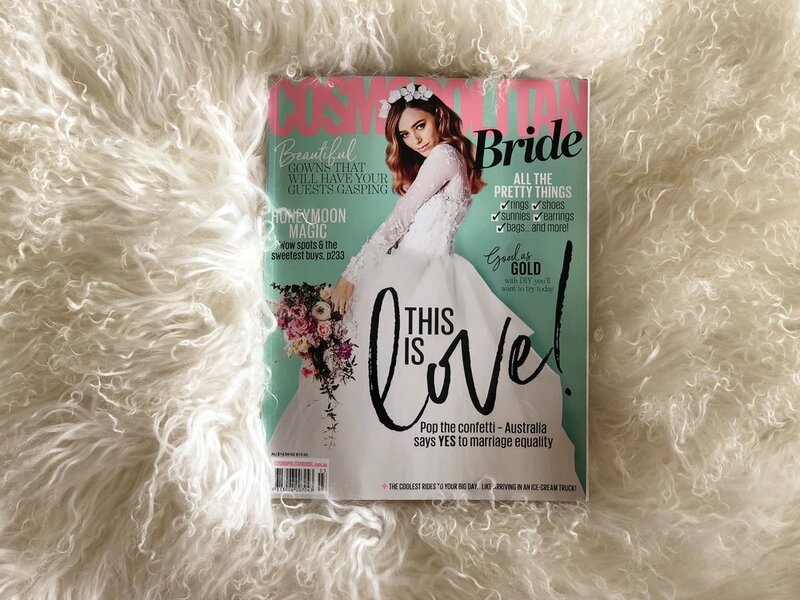 You can pick up a copy of the newest issue of Cosmopolitan Bride to see the details of Dianne + Tim's big day in your local newsagent or grocery store.